Twelve years ago, in Hoddinott and others v Persimmon Homes (Wessex) Limited  EWCA Civ 1203;  1 WLR 806, the Court of Appeal held that the correct way for a defendant to challenge the validity of a claim form was to issue an application under CPR Part 11 – disputing the court’s jurisdiction. Some defendants appear to be slow learners, I estimate that in about 50% of the cases I see the defendant has made the wrong application (sometimes even pleading the issue in a a defence, having accepted jurisdiction). Errant defendants can gain some solace from the decision in Caine v Advertiser And Times Ltd & Anor  EWHC 39 (QB). (Defendants should note that they cannot always rely on the courts granting them an extension and allowing them to amend an application. I have been involved in cases where extensions were refused, and that decision upheld on appeal, I really recommend making the correct application within the correct time period as the wisest course of action). The claimant issued proceedings but served them late, outside the four month period. The defendant filed an acknowledgment of service (whilst acting in person) but did not tick the box stating that they intended to dispute jurisdiction. The defendant obtained legal representation and then, outside the 14 day period for disputing jurisdiction, issued an application ” to strike out the claim”. That application made no reference to CPR 11. The defendant’s later sought an application for an extension of time to dispute jurisdiction under CPR 11 and to dispute jurisdiction under CPR 11. Master Yoxall then considered, if he was wrong in that conclusion and CPR Part 11 was the mandatory route, whether the Advertiser and Times company and Mr Curry were out of time, noting that the defendants had applied for a retrospective extension of time, as appears from paragraph 34 of the judgment. Master Yoxall noted that the Court had jurisdiction to extend time for making the application and he referred to CPR Part 3.9 and Denton v TH White Limited  EWCA Civ 906;  1 WLR 3926. Master Yoxall noted that the extension of time was for 4 or 5 days, and that adopting the wrong application route was not a serious breach. If he was wrong to consider it not serious there was no good reason for the breach but “turning to all the circumstances of the case, I am completely satisfied that the relief from sanctions should be granted”. 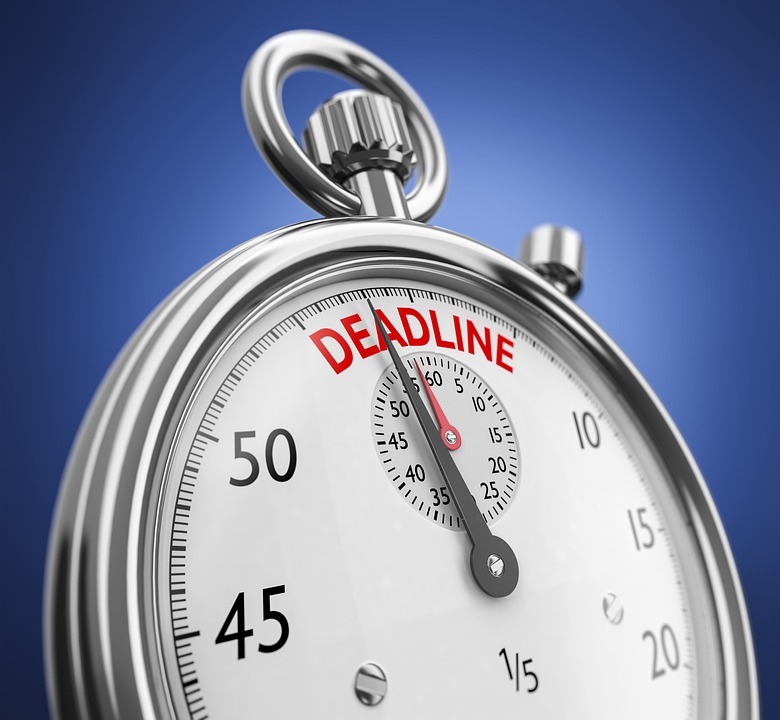 The Master rejected the claimant’s application for an extension of time to serve the claim form and particulars of claim. He granted the defendant’s application under CPR 11. In relation the claimant’s application to extend time for service CPR Part 7.6(3) was the correct regime to apply. The Master was right to refuse an extension of time for service of the claim form and particulars of claim. In Hoddinott v Persimmon the Court of Appeal addressed a situation where a claim form had been issued on 22 May 2006, meaning that it had to be served by 22 September 2006. On 13 September 2006 the claimants had applied without notice to extend time for service because they were not yet able to finalise the particulars of claim and wanted to serve both the claim form and particulars of claim. An extension of 2 months, till 22 November 2006 was granted. On 14 September 2006 the claim form was informally served for information purposes only, and in October 2006 the defendants applied to set aside the extension of time. The claim form and particulars of claim were served on 21 November 2006 and on 28 November 2006 the defendants filed an acknowledgment of service indicating an intention to defend the claim, but not indicating an intention to contest jurisdiction. On 30 January 2007 the District Judge set aside the without notice extension of time and dismissed the claim. The Court of Appeal held that the defendant should have applied pursuant to CPR Part 11 to dispute the court’s jurisdiction, but also decided that the District Judge’s decision to set aside the extension of time was wrong in the particular circumstances of that case. In Hoddinott v Persimmon Dyson LJ, giving the judgment of the Court, noted the submission that CPR Part 11 was not engaged because it was common ground that the court had jurisdiction to try the case, the question was whether time for service of the claim form should have been extended. That submission was rejected in paragraphs 22 and 23 of the judgment because the word jurisdiction in CPR Part 11(1) did not denote only territorial jurisdiction but was also a reference “to the court’s power or authority to try a claim”. It was recorded that although it was right that the court had jurisdiction to try the claim, what was being submitted was that the court “should not exercise its jurisdiction” to try the claim. In paragraph 26 the Court rejected the proposition that just because the defendant had applied to set aside the order it did not need to make a further application to dispute jurisdiction, given the clear wording of CPR Part 11. The Court held that if the conditions set out in CPR Part 11(5) were satisfied then the court had jurisdiction to try the claim. The Privy Council in Texan Management Ltd v Pacific Electric Wire and Cable Co Ltd  UKPC 46, when considering the wording of CPR Part 11 in the context of examining a similar rule adopted in the British Virgin Islands, referred to Hoddinott v Persimmon at paragraphs 68 and 69 but did not express a view on the correctness of the analysis in Hoddinott v Persimmon. Hoddinott v Persimmon was also considered in Aktas v Adepta and at paragraph 18 Rix LJ identified that the decision in Hoddinott v Persimmon provided “definitive support for the CPR 11(1) route”. In these circumstances in my judgment the decision in Hoddinott v Persimmon, followed in this respect by Atkas v Adepta, is clear authority, binding on both Master Yoxall and me, that an application that the court should not exercise its jurisdiction to try a claim must be made by CPR Part 11. Master Yoxall was right to note that in the analysis in Atkas and Burns-Anderson the courts appeared to have overlooked a provision of CPR Part 2.3(1) relating to whether a claim form was also a statement of case, but this does not meet the point that Hoddinott v Persimmon was binding. As has been noted in later cases, and in particular in the judgment of the Privy Council in Texan Management at paragraphs 63 to 66, CPR Part 11 has been “inelegantly and inconsistently drafted”. In such circumstances different interpretations of the rules may appeal to different judges. However the rules of precedent exist to provide that in courts bound by the precedent like cases are decided alike, thereby providing reasonable certainty to litigants. In my judgment Master Yoxall was wrong to find that the application to set aside service of the claim form could be made pursuant to CPR Part 3.4. It is clear that, notwithstanding the wording of CPR Part 11(4) and 11(5) there is jurisdiction to grant an extension of time for making the application to dispute jurisdiction. This appears from the judgment in Texan Management and the judgment in Le Guevel-Mouly v AIG Europe Limited  EWHC 1794 (QB) at paragraph 34. The provisions of CPR 3.9 and the guidance given in Denton v White apply. Mr Caine makes two submissions. He submits that, as a matter of fact, the Advertiser and Times company and Mr Curry have not made any application under CPR Part 11 to dispute jurisdiction, and so whether an extension of time is granted is irrelevant. His second point is that Master Yoxall was wrong to grant an extension of time in the circumstances of this case, in part contesting that the Defendants had waived their right to contest jurisdiction by failing to tick the appropriate box on the acknowledgment of service form. Ms Hamer submits that properly analysed the applications made by the Advertiser and Times company and Mr Curry are applications under CPR Part 11, but that if there was an error of procedure it should be rectified under CPR Part 3.10 or I could dispense with the requirement to make the application pursuant to CPR Part 23.3. Reliance was also placed in a Respondent’s Notice on CPR Part 3.1(f) under which the court may stay the whole of proceedings, and CPR Part 3.1(m) under which the court may make any other order for the purpose of furthering the overriding objective. In the course of submissions paragraph 27 of Hoddinott v Persimmon was noted. In that paragraph Rix LJ recorded that in that case the District Judge had rightly not held that the application to set aside was an application made pursuant to CPR Part 11(1). It should be noted that in Hoddinott v Persimmon no application for an extension of time for filing the application pursuant to CPR Part 11(1) had been made. I have set out above relevant parts of the wording of the applications made on 7 November 2017 and on 18 May 2018. The application made on 7 November 2017 raised the points about late service but was not an application made under CPR Part 11(1). However by 18 May 2018, in the light of Mr Caine taking the CPR Part 11 point in his submissions filed after the first hearing before Master Yoxall on 11 May 2018, the point about CPR Part 11 was expressly addressed, together with an application for an extension of time. In the application dated 18 May 2018 there was express reference to an application under CPR Part 11 and for an extension of time. Further in the supporting witness statement reasons were set out for relief from the sanction implicit in CPR Part 11(4) and 11(5). In these circumstances I am satisfied that the joint effect of the applications of 7 November 2017 and 18 May 2018 is that an application was made pursuant to CPR Part 11 to challenge the exercise of jurisdiction by the Court, and to extend time for making the application, and that Master Yoxall was entitled to consider that the application had been made, and was right to do so. As to the exercise of the discretion to extend time for making the application it might be noted that the issue of service had been raised immediately on receipt of the claim form and particulars of claim by the Advertiser and Times company and Mr Curry. The point had been pursued by an application (albeit by making the wrong application) on behalf of the defendants. Mr Caine was not misled into thinking that this point was not being pursued, and as soon as he raised the issue about the need to make the application pursuant to CPR Part 11, the issue about CPR Part 11 was addressed. Master Yoxall permitted Mr Caine to raise the issue about CPR Part 11 after the first hearing, and Master Yoxall was entitled to permit an extension of time to challenge service by CPR Part 11 in circumstances where the point about service had been taken from the outset. Mr Caine did in his submissions refer to various waiver cases and contended that the Defendants had submitted to the jurisdiction of the Court. The cases relied on by Mr Caine were cases involving a dispute about whether the Court had territorial jurisdiction and parties acting inconsistently with a dispute about that territorial jurisdiction. Here there was no doubt that the Court had territorial jurisdiction over the dispute, and what was in issue was the exercise of that jurisdiction. Even where the acknowledgment of service ticked only that the claim was being defended, it was accompanied by a letter identifying a point about service. In these circumstances there was no waiver of the right to dispute jurisdiction on the basis that the claim form and particulars of claim were not served in time. In my judgment Mr Caine was unable to point out anything to suggest that Master Yoxall’s exercise of his discretion to grant an extension of time to the defendants for making the Part 11 challenge was wrong. Therefore Master Yoxall was entitled to extend time for the Part 11 application, and to impose a permanent stay on proceedings. If it had been necessary to do so I can confirm that I would not have made an order staying the proceedings on the Court’s own motion pursuant to CPR Part 3.1(2)(f) or (m). This is because Master Yoxall had been invited to exercise the Court’s own powers in this respect and required an application to be made. The points are not so obvious that the court should exercise its own powers. Finally I would not have dispensed with the requirement for an application notice under CPR Part 23.3. This is because there was no reason to do so, because the defendants could make an application as demonstrated by their application dated 18 May 2018 in response to the claimant raising the point about CPR Part 11 on 14 May 2018.